The Zenfone Max Plus M1 features a FullView 5.7-inch 18:9 aspect ratio, 2.5D curved glass with scratch resistant. The phone is 4G LTE enabled and carries a fingerprint sensor on the back. The official price for the smartphone is yet to be announced. Let's wait until the official released date. Meanwhile, here's the full specs sheet for the phone. 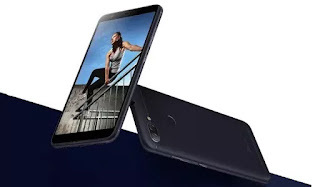 Asus Zenfone Max Plus M1 phone specifications, features, price, released date, review. Good phone with good battery.